Wowed by critics and earning a respectable box office gross on its theatrical run late last year, director Denis Villeneuve’s intelligent and mesmerising sci-fi mystery has far more in common with the likes of Stanley Kubrick’s 2001: A Space Odyssey, Andrei Tarkovsky’s Solaris and Christopher Nolan’s Interstellar than more straight forward, crowd-pleasing (but generally enjoyable on their own merits) alien invasion blockbusters such as Independence Day. Based on Ted Chiang’s short story “Story of Your Life”, Arrival (not to be confused with the Charlie Sheen starring bargain-bin 1996 B-movie The Arrival) is beautifully acted, hauntingly realised and thought provoking with its intellectually challenging and mind-bending hard SF concepts that shuns the more generic, formulaic and predictable tropes that all too often afflict the genre. Arrival concerns the mysterious appearance of twelve pebble-like extra-terrestrial vessels around the globe and the efforts to form a means of communication with the alien visitors and discover their intentions and purpose for coming to Earth. Heading up the central cast is Amy Adams as Louise Banks, a linguistics expert enlisted by the military to board the alien ‘shell’ floating above the United States. Sorely overlooked at this year’s Academy Awards, Adams delivers a powerhouse performance that subtly yet believably conveys the intellect and emotional strife of her character. Supporting Adams is Jeremy Renner as physicist Ian Donnelly, a role that demonstrates his ability to stretch beyond the action-star heroics of the Mission: Impossible and Avengers franchises. Completing the central core of characters is Forest Whitaker in a suitably authoritative turn as Colonel Weber. Avoiding cliché, Arrival depicts the reaction of the global governments, their military solutions, the awe of the scientific community and the escalating panic of the world’s population with a laudable degree of realism and plausibility, presenting a painfully true reflection upon the world as it stands today. Earning plaudits for his work on Sicario, Denis Villeneuve – currently putting the finishing touches to Blade Runner 2049 – brings strokes of arthouse cinema to Arrival whilst maintaining a focus on the principal cast, keeping the overall experience dazzling and captivating via Bradford Young’s incredible cinematography and Johann Johannsson’s wonderfully atmospheric and immersive music score (embellished by the film’s inspired audio design), skilfully ratcheting up the tension as the final act satisfyingly unfolds. Sure to be revered as a modern science fiction classic in the years to come, at its heart and beneath heady intellectual ideas, Arrival contains messages about communication and understanding that expresses a sense of hope, even in the face of darkness. The bottom line: Haunting, beautifully constructed and simply mesmerising, Arrival is a wondrous piece of intellectual SF cinema that’s masterfully directed and superbly acted. Arrival is available to own on Blu-ray, DVD and digital formats now. Preparing to make contact: Amy Adams stars in Denis Villeneuve’s captivating sci-fi mystery ‘Arrival’. Launched on a wave of largely negative pre-release reviews, the premiere season of Marvel’s Iron Fist arrives on Netflix establishing the final member of the line-up for the Defenders. Much like Luke Cage, “Snow Gives Way” presents us with a slow yet intriguing start to the series. As Danny Rand, Finn Jones (Game of Thrones) makes for a likeable lead, a dishevelled, humble drifter with signs of an inner strength and a wise, shrewd perspective beyond his years. Rand’s backstory is teased via a series of flashbacks where events from his childhood and a tragic plane crash in the Himalayas are revealed. With the Rand family being declared dead during Danny’s absence, Rand Enterprises has come under the management of siblings Ward and Joy Meachum (Tom Pelphrey and Jessica Stroup, respectively) who are in disbelief that this stranger could be their long-lost friend, Ward in particular only interested in protecting his hold on the company. With a focus on personal strife and corporate conspiracy, the script by showrunner Scott Buck (Dexter) does tend to evoke shades of Dallas but despite those soap opera-like elements being a little generic it does help to build character and plot. There’s also room for some comic book Kung-Fu action and whilst lacking the edge and brutality of Daredevil it has a grace and skill to it that goes hand in hand with the character’s philosophy and martial arts mastery. Another highlight is the introduction of dojo-master Colleen Wing, played by Jessica Henwick, who gets to have some fun interplay with Jones in a couple of key scenes that help to define both characters and hints toward a developing camaraderie. It’s fair to say that the origin story presented in Iron Fist isn’t the most original, already familiar to viewers through the likes of Batman Begins and Arrow but Finn Jones turns in an enjoyable performance and the mystery surrounding Danny Rand’s absence, eventual return and his path to heroism has potential for, at the very least, entertaining viewing…but hopefully something a bit more. The bottom line: Despite a slow start, there are still signs that Iron Fist could develop into another enjoyable Marvel series for Netflix. All 13 episodes of Iron Fist season 1 are available to stream now via Netflix. The Defenders is due for release in the summer. The way of the warrior? Finn Jones is Danny Rand in Marvel’s ‘Iron Fist’. Far from being a masterpiece, Kong: Skull Island isn’t in the same league as the classic original 1933 King Kong or Peter Jackson’s superb 2005 remake but is certainly superior to the creaky 1976 version, which starred Jeff Bridges and Jessica Lange. Taking place as the Vietnam War is coming to an end, the narrative of Skull Island is served by a fairly simple, derivative, yet functional and entertaining script (from screenwriters Dan Gilroy, Max Borenstein and Derek Connoly) that’s hindered by weak characterisation and occasionally cheesy dialogue that underserves and underutilises a stellar cast. Tom Hiddleston (Thor’s Loki) and Brie Larson (awarded an Oscar for her role in Room) are capable leads as former S.A.S. tracker James Conrad and ‘anti-war’ photographer Mason Weaver, respectively, with support from Samuel L. Jackson as tough-as-nails military man Lt. Colonel Packard, John Goodman as the expedition’s scientific leader Bill Randa, Corey Hawkins as fellow scientist Houston Brooks, Toby Kebbell (Dawn of the Planet of the Apes) as Major Jack Chapman and John C. Reilly, on hand to provide doses of comic relief as Marlow, a marooned World War II pilot. The cast is further filled out by a set of largely forgettable ancillary characters. The pace of Skull Island is fairly tight which for the most part is fine, but the journey to the mythical Skull Island and the expedition’s first encounter with its ‘King’ all happens a little too quickly. Some viewers might favour this, but it’s arguable that some extra time spent establishing the characters and a more steady build up to Kong’s reveal could have been of benefit. That being said, the titular ape’s introduction is pretty spectacular and does not disappoint. Where Skull Island ultimately succeeds then, is in its visuals and creature conflicts. Whilst Skull Island itself lacks much of the mystery and creepiness of Peter Jackson’s version, it’s a suitably primal eco-system and Kong himself proves to be a magnificently realised creation, a towering behemoth (at 100ft tall this is the largest version of the ‘Eighth Wonder of the World’ ever to grace the screen) rendered in CGI with incredibly intricate detail, aided by the performance capture work of Terry Notary. Kong aside, there’s a decent range of creatures of varied design from giant stick insects and arachnids to the ominously named ‘Skull Crawlers’ that become the main threat to the central characters and provide Kong with a formidable foe to grapple with, leading to a final act that’s quite exhilarating. Director Jordan Vogt-Roberts (currently tapped to helm the long gestating Metal Gear Solid feature film) handles the effects-driven action with relative ease and delivers some pleasing monster smack downs that will wow and thrill. The Vietnam era setting is also in the film’s overall favour and affords Vogt-Roberts the opportunity to evoke vibes of Apocalypse Now, made all the more indelible by some wonderful photography from Batman v Superman cinematographer Larry Fong. It also allows the otherwise disappointing script to inject a dash of well-placed satire. Given Warner Bros.’/Legendary Pictures’ plans to develop a shared cinematic universe that will incorporate that other iconic screen monster – Godzilla – there are naturally some franchise connections within Skull Island, facilitated by the inclusion of the Monarch organisation that featured in Gareth Edwards’ Godzilla and fans are advised to stick around for a tantalising post-credits scene. More of a blockbuster budgeted B-movie than a modern classic, Skull Island is undemanding fun that’s a little dumb yet occasionally rises to something greater via its visual effects and creature bashing action. The bottom line: Entertaining and often exciting, Kong: Skull Island is let down by thinly drawn characters and some weak scripting yet succeeds with its visual thrills. Kong: Skull Island is in cinemas now. The gigantic King of Skull Island roars onto the screen in Warner Bros.’/Legendary Pictures’ blockbuster ‘Kong: Skull Island’. Seventeen years after making his debut as the iconic Marvel Comics character Wolverine in Bryan Singer’s X-Men, Hugh Jackman delivers a career-high performance in his much touted final appearance as the adamantium-clawed hero. Taking place in 2029, at a time when there are very few mutants left, Logan (based loosely on the “Old Man Logan” comic books by Mark Millar and Steve McNiven) sees the man once known as ‘the Wolverine’ in a dark place in ever darker times. His mutant healing abilities diminishing, Logan now goes by the name of James Howlett scraping together a living as a limo driver to pay for medication to subdue the increasingly uncontrollable mental powers of an elderly Charles Xavier. Heavily burdened and wearier than he’s ever been and turning to alcohol to numb pains both physical and emotional, Logan seems to have no purpose until he meets a young girl named Laura who he discovers has abilities much like his own. With Laura being tracked by a team of mutant hunters (lead by Boyd Holbrook’s Donald Pierce), it’s not long before the trio of Logan, Xavier and Laura hit the road in search of safety. 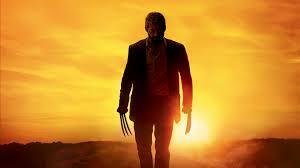 Written and Directed by James Mangold – who also tackled Jackman’s previous solo outing in The Wolverine – Logan is an atypical breed of a superhero film, of course it has the comic book/science fiction elements that come with the territory, but it largely plays out as an intimate, quite often brutal character drama and a journey that’s both thrilling and sombre as it evokes nifty vibes of the classic western and Mad Max. Whilst not being overly concerned about continuity, there are still hints and references to Logan’s overall placing in the X-Men film universe without becoming burdened by it, the history of the X-Men themselves almost mythologised in the pages of dusty old comic books. It’s a standalone story that anyone can enjoy but all the more effective and satisfying for those who have followed the screen exploits of Messrs Jackman and Stewart all of these years. Jackman excels in the lead role that has defined his career, delivering his gruff and grizzly best with more than a few shades of melancholia. Equally impressive is Patrick Stewart who relishes in providing a deeper and more complex portrayal of Charles Xavier than we’ve ever seen that’s as crushingly tragic as it is at times outright funny. As Laura, Dafne Keen makes a strong and memorable screen debut, playing an important part in making the growing bond between Logan and the young mutant one of the film’s clearest highlights. Rounding out the already commendable cast is Boyd Holbrook as the appropriately snarly Pierce, British comedian Stephen Merchant, in a surprisingly enjoyable turn as Caliban, Logan and Xavier’s quirky mutant companion and a sorely underused Richard E. Grant as villainous scientist Dr. Zander Rice. Whilst Logan doesn’t feature the elaborate CGI spectacle and destruction we see in the main X-Men film series it’s certainly not short of action and given the film’s adult rating (15 certificate here in the UK, R-rated in the States) we get to see Wolvie fully unleashed in no holds-barred, Berseker Rage fuelled combat. It’s unapologetically brutal, shockingly visceral and it’s what all Wolverine fans have wanted to see for a long time. Logan does at times feel a little too slow and drawn out, yet just about manages to not completely drag and is made up for by the strong performances of the central cast and it’s moments of cutting, blood-soaked action. In the end, Logan comes out as a satisfying finale that aptly closes out to the gravely, aged tones of the late Johnny Cash. The bottom line: Hugh Jackman bows out in a fittingly dramatic and brutal finale to his tenure as the iconic Wolverine in a film that binds fine performances with well-drawn character drama. The sun sets on Hugh Jackman’s time as Marvel Comics character Wolverine in 20th Century Fox’s ‘Logan’.